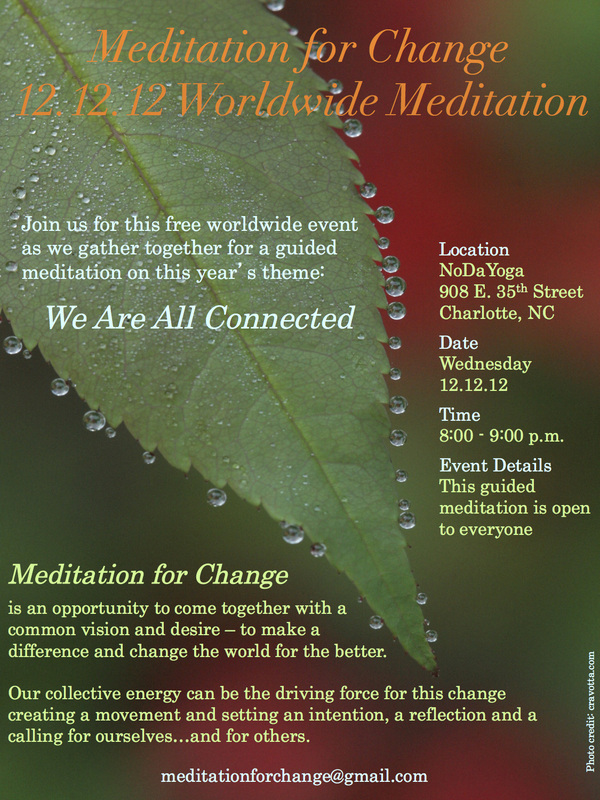 Meditation for Change ~ Charlotte, N.C.
is an opportunity to come together with a common vision and desire – to make a difference and change the world for the better. Our collective energy can be the driving force for this change creating a movement and setting an intention, a reflection and a calling for ourselves…and for others. This guided meditation is open to everyone. No meditation experience necessary.